Our goal is to clearly present the gospel to boys through a creative medium that they appreciate. This 8-page, comic-style "supertract" for pre-teen through young-teen boys clearly illustrates the gospel through the adventures of a "transforming robot" and the heroics of X-One. 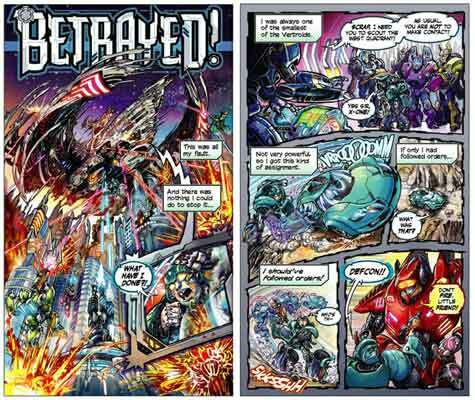 The action-packed, amazing illustrations in "Betrayed!" are the creations of Jonathan Koelsch, who designed LMI's "Escape the Trap!" booklet. This tract is 15% larger than our other tracts to enhance the colorful graphics and the readability. Priced in packs of 25 tracts per pack.